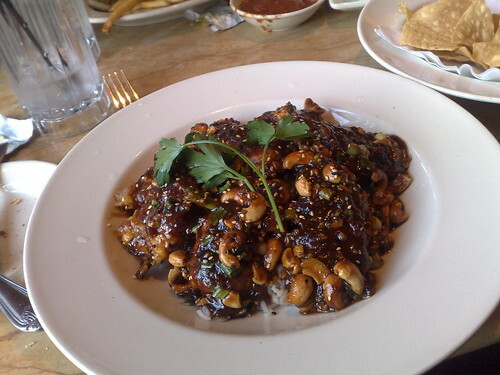 cashew chicken, originally uploaded by shashiBellamkonda. The portion was far too large to finish in one meal so be ready for tkaing home half of this. A little too caremelized for my taste and a lot of chicken.